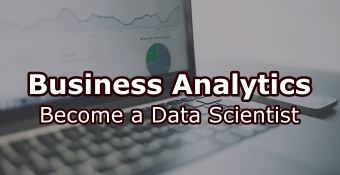 This online training course is meticulously designed to provide a comprehensive understanding of Business Analytics. The course begins with the emphasis on the Importance of Analytics and moves onto introducing basic Statistical concepts & Data visualizations using Excel. Later, advanced topics such as Correlation, Linear/Logistic Regression, Segmentation and Time Series Analysis are thoroughly discussed with Case-studies & exercises. Hands-on Analytics experience is guaranteed as we solve various Case-studies, Exercises and Assignments throughout the course. Any Individual who is interested in pursuing their career in Analytics can take this course. No prior knowledge of analytics is required since the course covers the fundamentals. 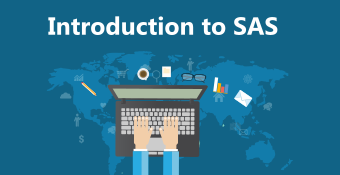 The tools used during the course are Excel and SAS for key Statistical concepts. AIX Administrator, IBM India Pvt. Ltd.
UpskillCareer is a Training Institute run by a group of individuals having graduated from reputed institutes (BITS,IIT,IIM) and with 10+ years of professional experience in IT, Consulting and Analytics. Teaching is their passion and they share knowledge through providing high quality and cost effective online trainings. The courses are innovatively designed to equip college graduates, professionals and career changers to pursue challenging and rewarding career opportunities.